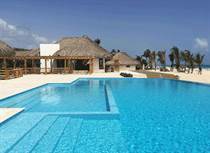 Rabbit International Real Estate Mexico We specialize in providing listings and an expert quality services toMexican, American and Canadian buyers looking to invest in Dominican Republic. We realize that buying in another country is not just about selecting and buying a home. That is why we have included many other features on this site that are intended be your tools in becoming educated about the process of buying Dominican Republic real estate. Our real estate specialist agent located in Mexico, Caridad Hernandez has 16 years experience working in the Dominican Consulate in Mexico and 4 years working on the turism ministery, her international commerce degree give her all the necesary experience to drive investment on the way to select the best investment property oportunity in Santo Domingo, Punta Cana, Santiago, Juan Dolio and all othere important are in Dominican Republic.